When we hear "heretic," we often think of a person whose believes are incongruent with Christian teaching, with the Gospel. It's a heresy against orthodoxy (right confession). But there's another type, the moral heretic; it is a heresy against orthopraxy (right living). Jude warns us to beeware of those who consistently demonstrate a lifestyle at odds with the gospel. A thankful woman spends an expensive bottle of perfume on her Savior; another disciple is incensed at the waste; and Jesus says, "For the poor you always have with you, but you do not always have me" (John 12:8, ESV). How should we take such strong words? In combating a moral heresy, Jude wrestles with persuading his readers that there really good be wolves in sheep's clothing among them. He does this by reminding them that it would be nothing new. In fact, there may be some in our ranks, he warns us, who are fit to be destroyed. The short letter by a first Century Jesus-follower named Jude challenges its readers to contend for the faith. It's the message of the letter and, in particular, the letter's opening salvo. In the first few lines, Jude counsels his readers to not panic, to take up arms, and to know the enemy. Jesus says that he is "the way" and that "no one" has access to God except through him. That's a pretty exclusive claim in our pluralistic world. But exclusive truth claims are impossible to avoid. 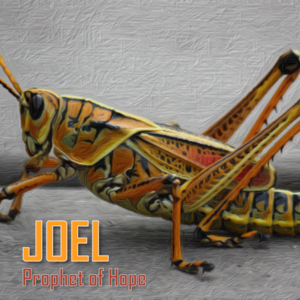 In this final message from the book of Joel, we see that there is promised a future hope that is characterized by abundance, security, and presence. Joel's message suddenly terms from a near-term hope to an unspecified future promise simply described as taking place "afterward." It is a promise of future doom, but that doom is paired with warning and hope, which are even now becoming visible.